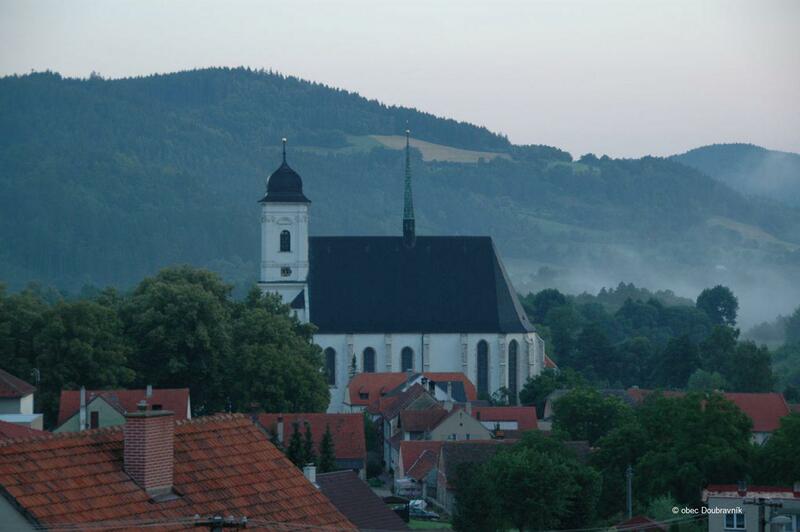 This monastery church, established after forest clearance before 1220 and devastated by the Tartars and Hussites, was converted into a burial church for one of the most influential families in the country, the Lords of Pernštejn. 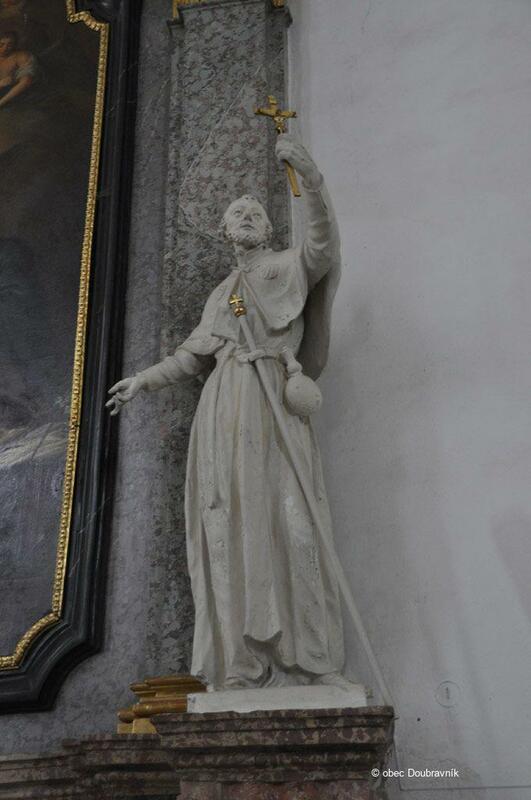 The Neo-Gothic tomb of the Mittrovskýs of Nemyšl belongs to a leading aristocratic family of the mid-18th century, advocates of the Enlightenment and founders of the Moravian Provincial Museum in Brno. The triple-nave church contains five pairs of columns, without capitals, graduating into the ribs of the vault. 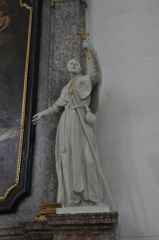 The side naves feature cross vaulting, the main nave has a reticulated vault. 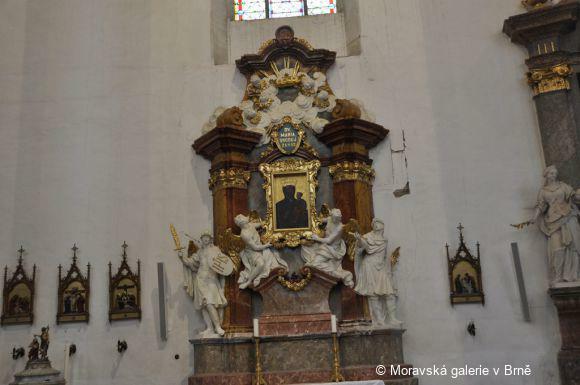 Marble consoles and columns feature coats of arms of the Lords of Pernštejn and related families. The chancel walls and the church floor contain aristocratic tombs. The tomb of the Lords of Pernštejn is under the presbytery but it is empty – plundered by the Swedes who besieged Pernštejn Castle in 1645 – and who took the pewter and silver coffins to Sweden as war booty. 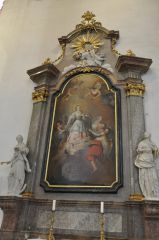 The high altarpiece in the burial church of two major Moravian families was among the last works created in Moravia by F. A. Maulbertsch, a leading 18th-century artist of the Habsburg Monarchy. 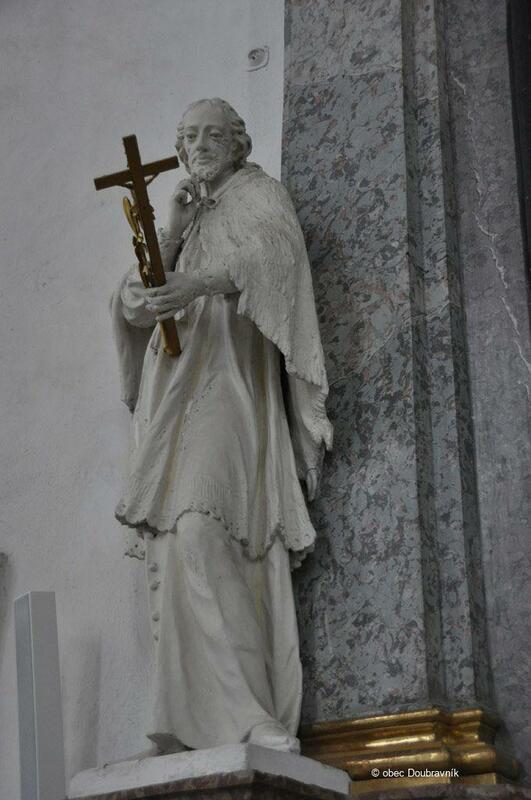 The miraculous scene is portrayed with light effects accentuated by sculpted decoration. 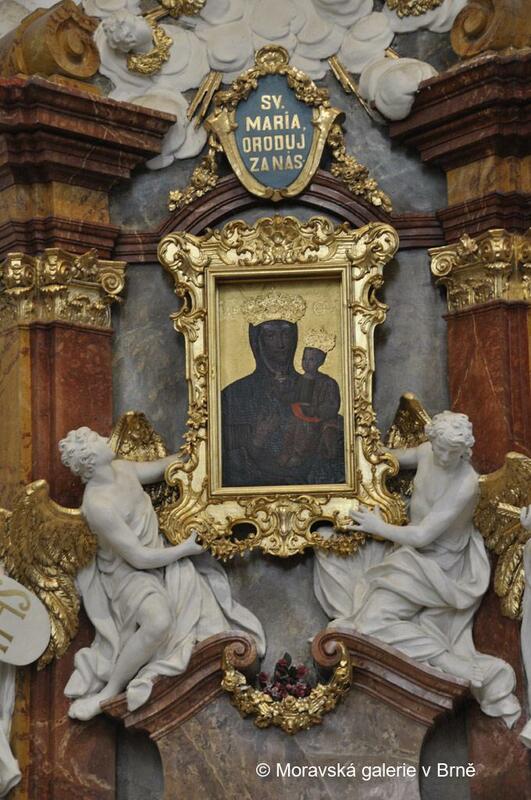 The chiaroscuro picture opens with whitish figures of saints in restricted postures, and classicist flowing gowns. 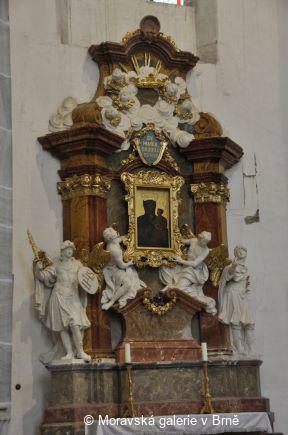 The segmentation and colour scheme of the retable blend the late-Baroque altar with the Gothic architecture, producing, despite a variety of styles, a unified, noble interior. 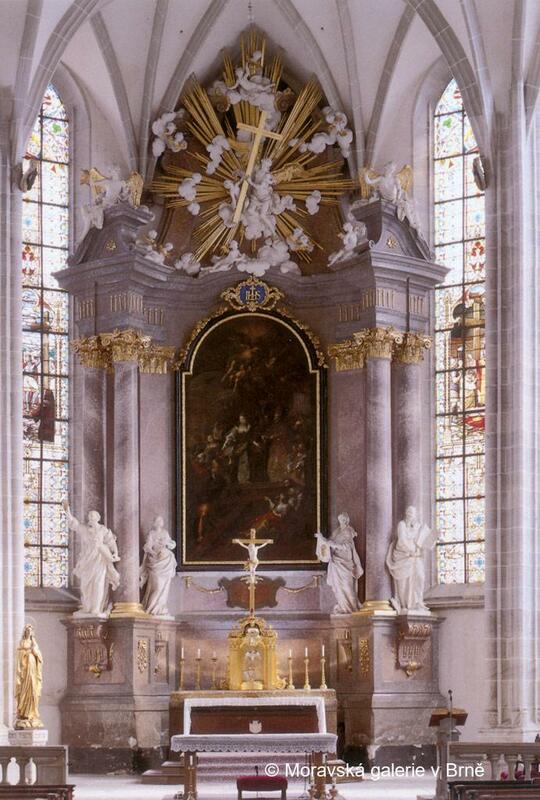 The altar is dated by a commemorative inscription; the altarpiece is signed and dated by J. K. Spiess. 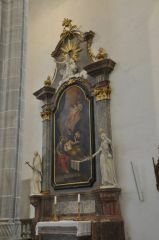 The Invention of the Cross altarpiece was one of the last works created in Moravia by Franz Anton Maulbertsch, a leading artist of the Habsburg Monarchy during the 18th-century. 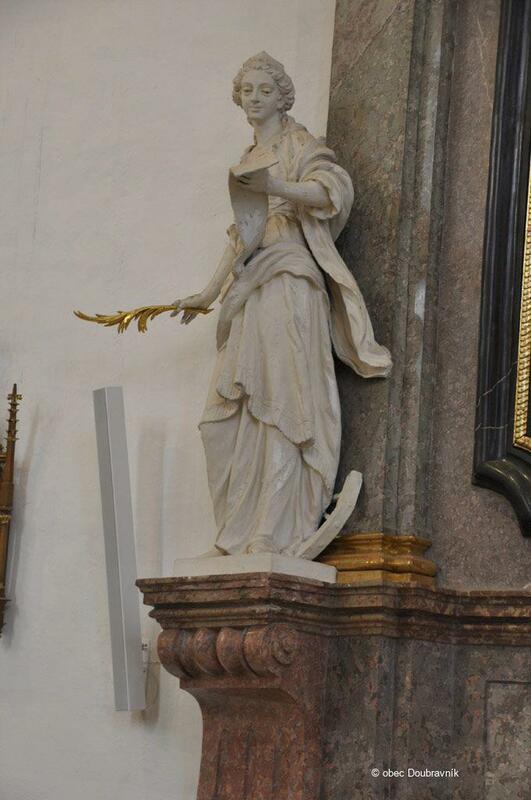 His canvases are frequently framed by altar architecture and statues by O. Schweigl. 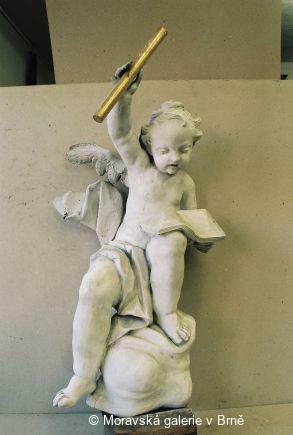 In fact, Schweigl was among the first to report on the work of this artist in his treatises on Moravian art; among them, his History of Art was a recommended textbook at schools of higher-education. 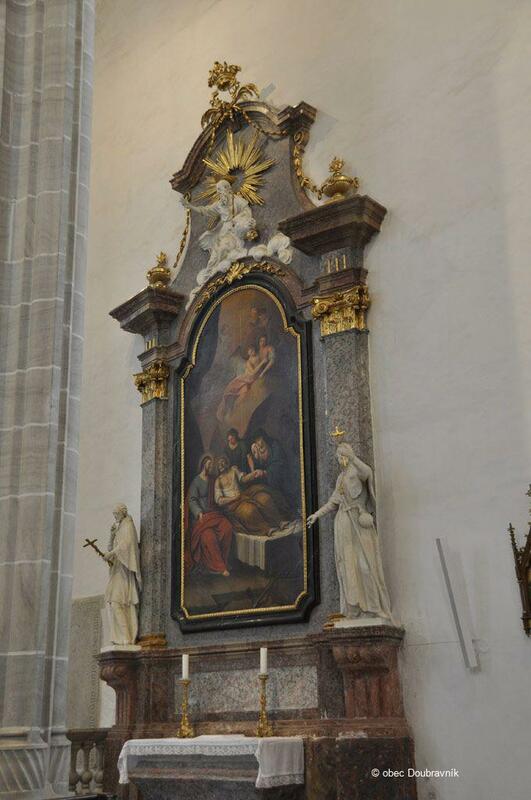 The altarpiece is surrounded by statues of St. Peter with Mary Magdalene, and St. Paul with St. Veronica. 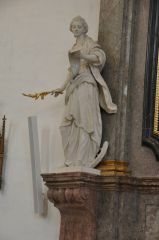 Schweigl also created the statues of Saints Barbara and Joseph for the side altars, complementing pictures by Ferdinand Licht (1800), a Brno artist who maintained a late-Baroque style until the early 19th century. 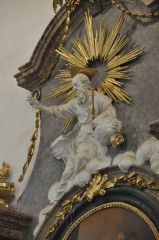 The Invention of the Cross, already expressively painted by Maulbertsch in Hradište, near Znojmo, is rendered in an objective manner. 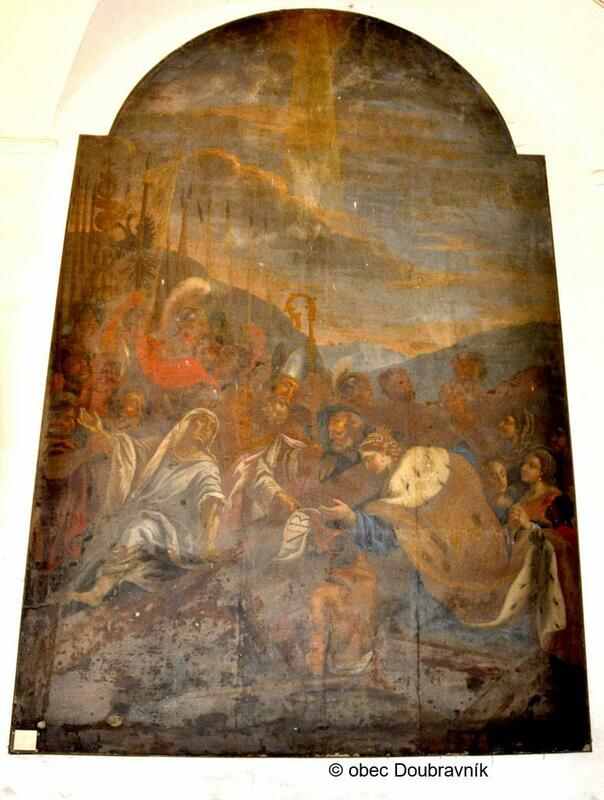 The miraculous scene is portrayed with light effects accentuated by sculpted decoration. 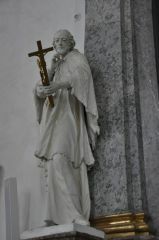 The chiaroscuro picture, with its rhetorical gestures, opens with the whitish figures of saints in restricted postures, and classicist flowing gowns. Their faces are full of strong emotional movement. 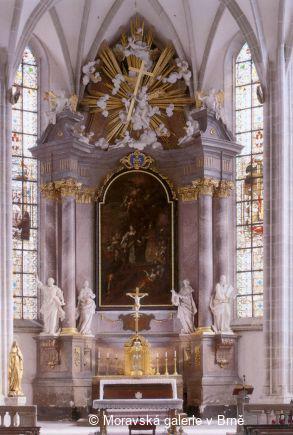 The segmentation and colour scheme of the retable, which is made from imitation marble from a local source used for the construction of the church, blend the late-Baroque altar with the Gothic architecture, producing, despite a variety of styles, a noble and unified interior. 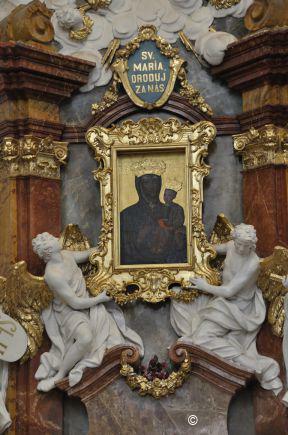 The artist of the original altarpiece for the high altar came to Moravia via Vienna. He worked for the Bishop of Olomouc as a copyist and collaborated on the decoration of the Provincial Books. He settled in Brno, where, commissioned by the Augustinians, he created a sizeable veduta of the town (1675). A comparison with the present altarpiece shows a change in style within a single century. The relief-shaped organ case is decorated with carved drapery, angels and putti playing musical instruments. The Brno master was one of the best-known organists in Moravia. 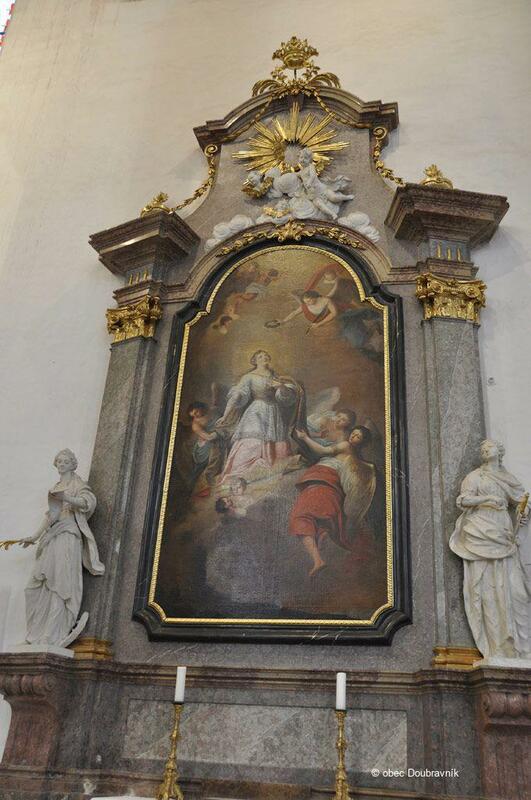 This picture of the Virgin Mary and Child is set inside a stucco frame carried by angels and surrounded by figures of Saints Michael and Sebastian. Similar altars were created for numerous churches and chapels after the coronation of this miraculous picture of the “protectress of the country” in Brno in 1736. 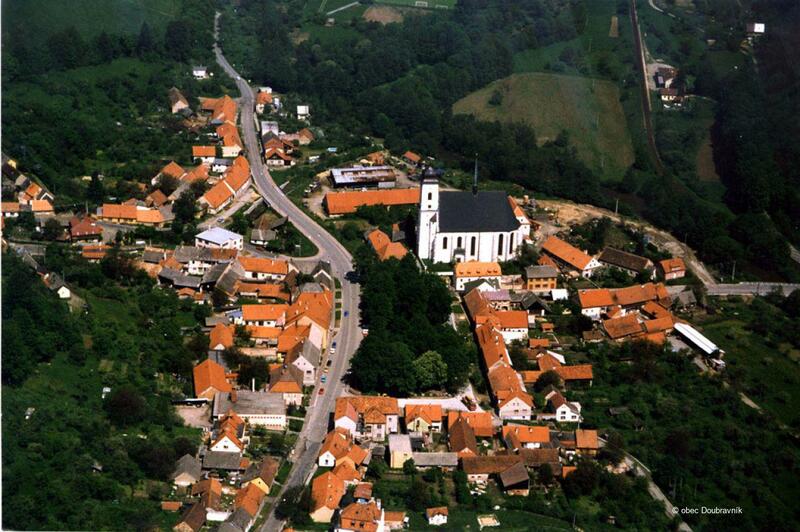 Bohumil Samek, Umělecké památky Moravy a Slezska I, A-J, Prague, 1994, pp. 407–411. 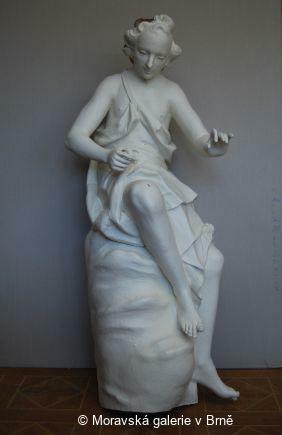 Jiří Kroupa (ed), Dans le miroir des ombres. 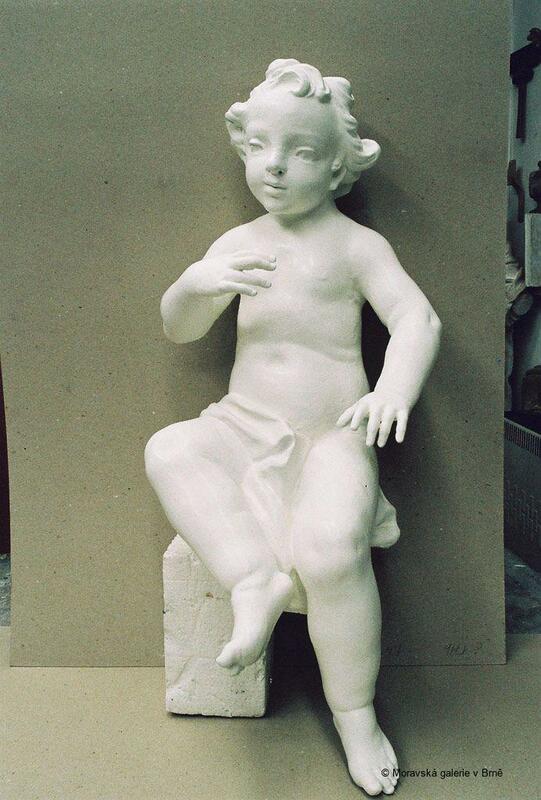 La Moravie al al age baroque 1670–­­1790, Paris–­­Rennes–­­Brno, 2002, pp. 74, 76, 77, 218, 326. Jiří Sehnal, Barokní varhanářství na Moravě, Brno, 2003. Jiří Kroupa, Franz Anton Maulbertsch: Aufklärung, Auftraggeber und Mentalitäten in Mähren, in Eduard Hindelang – Lubomír Slavíček (eds), Franz Anton Maulbertsch und Mitteleuropa. 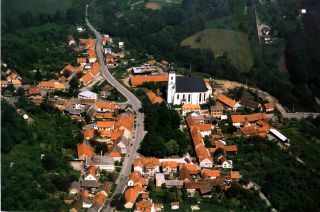 Beiträge zum 30-jährigen Bestehen des Museums Langenargen, Langenargen–Brno, 2007, pp. 23–44.